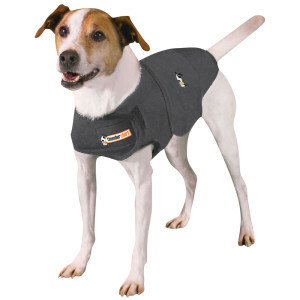 Constant pressure from a Thundershirt has a dramatic calming effect on dogs if feeling anxious, fearful or over-excited. Based on a range of surveys of more than 2000 dog owners, over 80% of dogs showed improvement in symptoms when using the Thundershirt. Alphabet Dog Walking is a full-time, family run and established dog walking business located in the heart of Wimbledon. We are hugely experienced, fully insured, and dogs are our life! Copyright © 2016 Alphabet Dog Walking | All rights reserved.